FOREVERLAMP has expanded its’ categories of High Bay LED Fixtures and High Bay Lighting with the addition of the HB Industrial Series. The new FOREVERLAMP IP 66 High Bay LED Fixture is designed and built for challenging environments like manufacturing, fabrication, aerospace and outdoor usages. The HB IP 66 LED fixture offers a variety of lumen packages from 18,500 to 30,000 lumens and also a wide choice of mountings, control and sensor options, as well as choice of color temps. This LED fixture is as efficient as it is strong, consuming a meager 210W at the highest lumen option. The “IP” designation was created by the International Protection Rating system, sometimes referred to as the Ingress Protection Rating. The system uses two digits after the initials “IP” which have their own specific meaning. 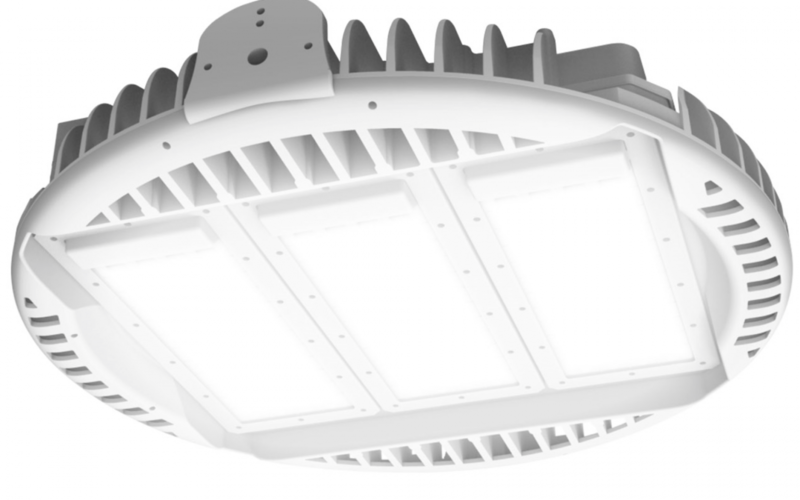 The first digit, “6” means this FOREVERLAMP LED high bay fixture is “dust tight”. There is no ingress of dust into the fixture which provides complete protection from contact with dust. The second digit, also a “6”, means that water projected in powerful jets in all directions toward the high bay fixture will have no harmful effects. So, with an IP 66 rating, the new FOREVERLAMP Industrial Series High Bay Lighting Fixture is the fixture of choice for demanding indoor or outside applications. The HB IP 66 high bay LED fixture compliments the FOREVERLAMP IP 54 and 64 Classic Series LED fixtures to broaden the scope of high bay lighting fixtures and high bay lighting available from FOREVERLAMP. The new Industrial LED High Bay IP 66 is the battleship of the FOREVERLAMP high bay LED fixture line up. This robust and energy efficient LED high bay fixture has not gone unnoticed. CCR Magazine commented on this new fixture and recently it was selected as one of the “Top 10 LEDs” for July 2017 by Electrical Wholesaling Magazine.